STAMFORD, Conn. – June 28, 2018 – NBC Sports will present a record 365+ hours of live, primetime, and encore coverage of the 105th Tour de France, across NBC, NBCSN, and the NBC Sports Gold app. Daily live coverage of the Tour de France, including all 21 stages, begins Saturday, July 7, at 5 a.m. ET with Stage 1 on NBCSN. NBC Sports Gold’s live coverage of Stage 1 begins Saturday at 4:40 a.m. ET. Coverage continues each week night with the Tour Primetime show featuring a look at the day’s most compelling action with new analysis, interviews, and updates. Coverage culminates with the final stage on Sunday, July 29, live at 9:30 a.m. ET on NBCSN. 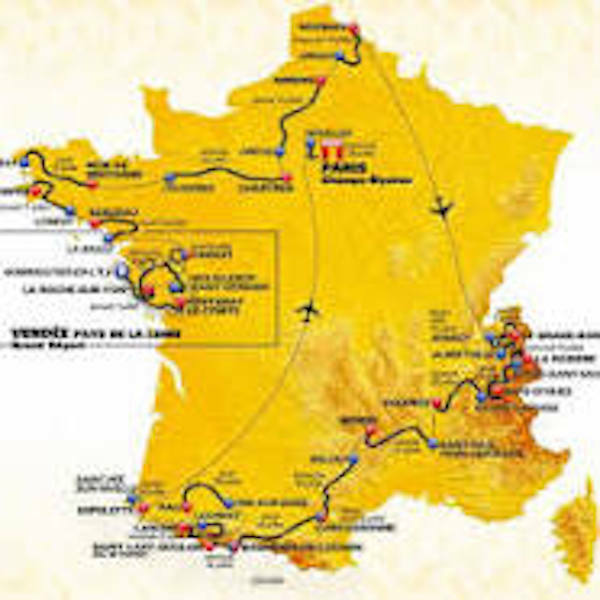 The 2018 Tour de France will cover a total distance of just over 2,080 miles, and begin in Noirmoutier-en-l’île, France, where competitors will ride along sea shores of Vendée. Great Britain’s Chris Froome (Team Sky) returns to defend his 2017 title and makes a run at a fifth career and fourth consecutive victory. His challengers include Nairo Quintana (Movistar Team) of Colombia, who looks for his first Tour de France title after finishing second to Froome in 2013 and 2015, 2014 Tour de France winner Vincenzo Nibali (Bahrain–Merida) of Italy, Richie Porte (BMC Racing Team) of Australia, who clinched the overall victory at the 2018 Tour de Suisse, and Mikel Landa (Movistar Team) of Spain. American Tejay van Garderen(BMC Racing Team) returns to the Tour de France after being absent in 2017, and is expected to be a strong support rider to Porte. 3-D animated maps that track where the riders are in real-time on the route. NBC and NBCSN will also utilize several production enhancements, including a pointer feature which will easily identify and focus on one rider in the peloton and exclusive profiles and features on teams and riders. The “Cycling Pass,” which gives fans in the U.S. access to premiere cycling races from July 2018 through June 2019, can be purchased in advance of the 2018 Tour de France for $49.99 by visiting NBCSportsGold.com. NBC SPORTS GROUP SOCIAL MEDIA: Fans can keep up with the Tour de France through NBC Sports Group’s social media platforms throughout the race, including exclusive behind-the-scenes photos, interviews, video clips, up-to-date news reports and stories from around the cycling world through the NBC Sports Cycling Facebook page and @NBCSNCycling on Twitter. In addition, fans can visit https://www.nbcsports.com/tour-de-france for a live stream schedule, stage maps, results, routes and more.